Nashville, Tenn. (April 24, 2017) — Grammy Award-winning country music star John Berry will launch his own national television show this summer. 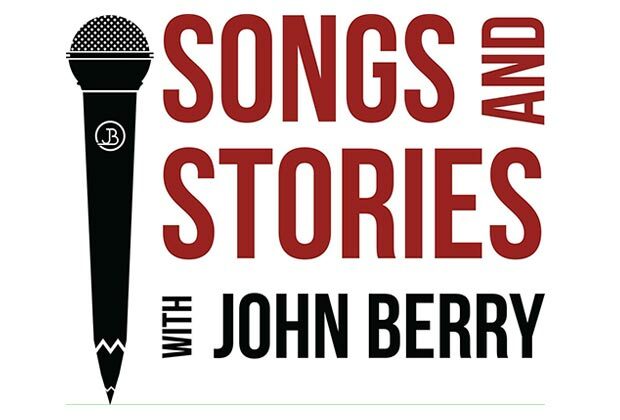 “Songs And Stories with John Berry” will debut in July on Heartland TV, The Family Channel, The Country Network, the Angel Two Network, AMG TV, and the VTN Network. The 30-minute TV program will be taped this May at Nashville’s historic Douglas Corner, the same venue where Berry originally showcased to receive his first major record deal. The show will focus on the singer and the song— the music that changed his guests’ lives and inspired them to be the artists they have become. The first season will feature Berry and special guests Billy Ray Cyrus, Craig Morgan, Clay Walker, Suzy Bogguss, Mo Pitney, Neal McCoy, Billy Dean, and more. Admission to the live show tapings is free and first-come, first-serve. Seating is limited. For ticket requests, fans are encouraged to call: 615-513-1388. See below for full taping schedule. Food and drink will be available for purchase, as well as souvenir merchandise. Douglas Corner is located in Nashville at 2106 8th Avenue South. “Songs And Stories with John Berry” is sponsored by Freedom Trailers and Quieti Apparel. This show is being produced by Jeff Moseley / CJM Productions. Grammy Award-winning country star John Berry has placed 20 singles on the country hit parade charts, six of which went Top 5 as well as a #1 on the Billboard and Radio & Records country charts. He has earned numerous Gold and Platinum records. Berry’s co-written “A Mind Of Her Own” and “Kiss Me In The Car” introduced him to radio audiences in 1993. Then, “Your Love Amazes Me,” “What’s In It For Me” and “You And Only You” thrust him to stardom in 1994. “Standing On The Edge Of Goodbye,” “I Think About It All The Time,” and “If I Had Any Pride Left At All” were all major hits the following year. “Your Love Amazes Me” earned Berry a 1995 Grammy nomination. Berry took “Change My Mind” into the country music Top 5 in 1996. “She’s Taken A Shine” became an even bigger hit in 1997. That same year, he was nominated for CMA Vocal Event of the Year for “Long Haired Country Boy” with Charlie Daniels and Hal Ketchum. Both fans and the media took note when “There He Goes” was released as a 1999 duet with Patsy Cline. For more information on John Berry, visit johnberry.com.